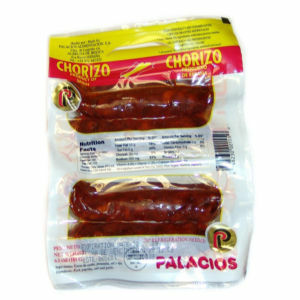 All natural chorizo from Spain. No preservatives, no artificial coloring, all natural. Ingredients pork, paprika, salt and garlic. Great for cooking, for mixing with eggs, for sandwiches. Enjoy.